With the release of The Best of Caillou: Caillou's Summer Vacation last month, it was as though most all other children's television characters didn't exist around here. "Watch Caillou! Watch Caillou!" Little Sister B would declare at nearly any point that the television was turned on, with Big Sister E wholeheartedly agreeing. As this curious and adventurous 4-year-old manages to keep them both entertained while teaching positive life lessons about trying again after failure, good manners, accidents happen, making friends, and more, it was easy for me to comply. However, even though they were thrilled with Caillou's summer tales, with fall already on the horizon it just made even more sense (and fun!) 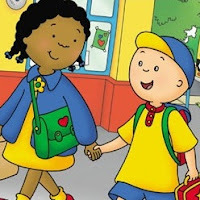 that now they were able to join their good friend in The Best Of Caillou: Caillou Goes Back To School. Following along with Caillou as he teaches kids about things like space, science, painting, cooking, and much more, The Best of Caillou: Caillou Goes Back to School brings viewers with while he explores everyday life and ordinary daily events spark his imagination. This DVD includes four episodes (that feature 12 fun-filled adventures), interactive games, printable activities, coloring pages, and resources for parents... and when it arrived, it wasn't hard to see that my young fans were in love at first sight. This collection is yet another great variety of Caillou and manages to not only keep kids inspired by his pretend play and role-playing fun, but also helps teach about reading, imagination, nature, and art. My kids just love seeing Caillou take ordinary activities and make them into extraordinary make-believe places just by using his mind! 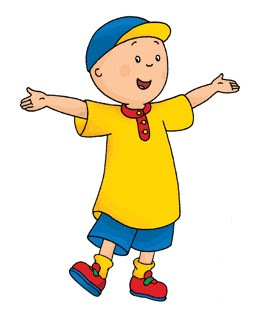 In the four episodes included (Caillou the Bookworm, Caillou the Scientist, Caillou Loves the Fall, and Caillou the Artiste) Caillou covers topics such as appropriate behavior in the library, how to play games so that everyone can join in, school field trips, and that art comes in many different forms. I always like seeing that ways that Caillou demonstrates patience, dealing with disappointment, helping can be fun, and more, and hope that my daughters are able to see how those ideas can be integrated into our own lives! 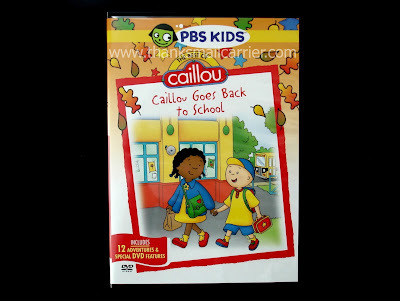 With a run time of approximately 100 minutes, The Best of Caillou: Caillou Goes Back to School is a wonderful compilation for any Caillou fan - particularly those that are preparing to head to school or preschool soon! Retailing for $12.99 (or only $6.99 on Amazon), we're thrilled to have this to bring out whenever we need a Caillou fix at home or for long car rides. 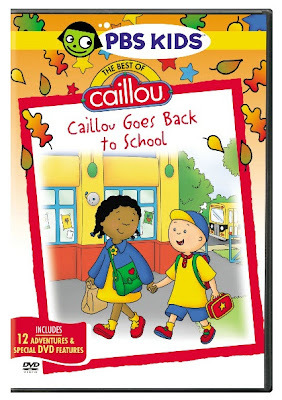 One lucky person will win The Best of Caillou: Caillou Goes Back to School on DVD! To enter to win: Tell me what your favorite aspect/memory of school is from when you were a child. A particular subject? A certain field trip? Great friends? Giveaway will end on August 10th at 11:59pm CST. Do me the favor of leaving an email address or making absolutely sure it is visible in your profile, I have to have a way to contact the winner. The winner will be chosen by random.org and announced here as well as emailed and will have 48 hours to contact me or respond to notification or a new winner will be chosen. This giveaway is open to U.S. residents only. 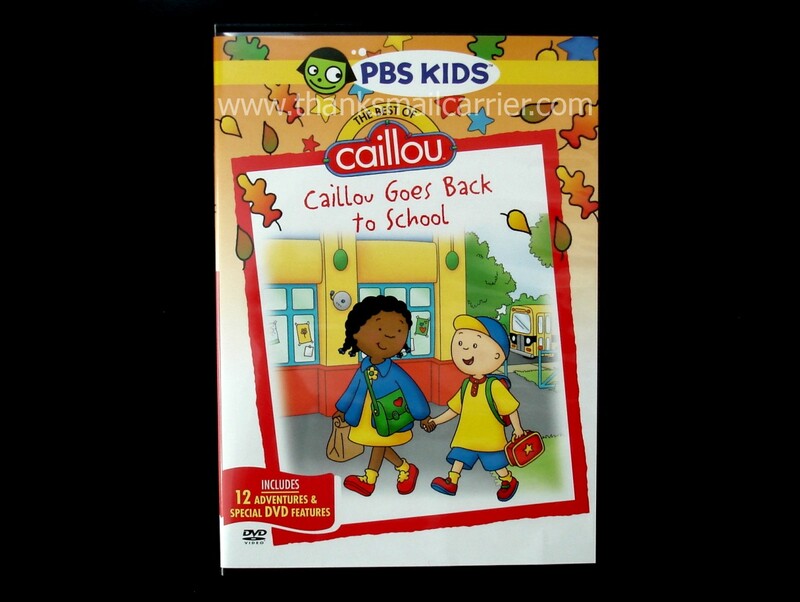 A big thank you to Caillou's PR for providing a DVD for me for review as well as for one lucky giveaway winner. The opinions shared are my own and honest and if you really need to see more, click here to see how I roll. I remember 2 of my favorite teachers.. Mrs. Harmon was 5th grade and she really helped us to learn how to think and use our imagination. We wrote class stories and competed in Oddesey of the Mind. In 6th grade I had Mrs. Scanlon and we had all day reading days. I learned to love reading with her. She would read us chapters in books, my favorite was Where the Red Fern Grows. We also buried a time capsule and we dug it up 10 years later. I miss them both. Great Teachers!! I loved art and music. A chilhood memory I have is when we went as a class to Plymouth Plantation on a field trip. I also remember bringing my new 110 camera-remember those? I still have pictures of that way long ago field trip. taking French in High School was great. The teacher was young and very handsome. My favorite memory is 8th grade. We were all very close and had the best time ever. School was FUN! One of my favorite memories is playing kickball in school at recess. What great memories! I use to love English...reading and writing! Of course, I also loved recess! My best memory was my 6th grade graduation...it was a blast at a park, swimming, fishing, games, picnic! My favorite memory is a 4th grade project of making butter and shaking that jar for all we were worth, then seeing it actually happen. I entereed your wooden anamalyz giveaway. I entered your peeps giveaway. I entered your endangerables giveaway. I entered your rubbermaid high chair giveaway. I entered your itunes/energizer giveaway. I loved going to school and being around my friends. My favorite aspect of school from when you were a child was picking out my first day of school outfit. I loved back to school shopping and choosing that super important outfit for the first day. i remember when we lived in delaware and we took a field trip to washington d.c. it was awesome! I loved back to school shopping as a kid. Being able to pick out supplies was so fun! My favorite time on school is when we made bear caves. My favorite memory is getting to stay outside all day and eat ice cream with my friends the last day of junior high. we once went to walnut grove and I loved it!! My favorite was playing hopscotch and on the merry go round with friends. My favorite school memory is going to school Kindergarten through 8th grade with my best friend, Phyllis. I remember loving playing on the playing four square on the playground.